Was a feast for 2 but two Germans from a large yacht did also join us which was as well as it was a large lunch in anyone’s language. 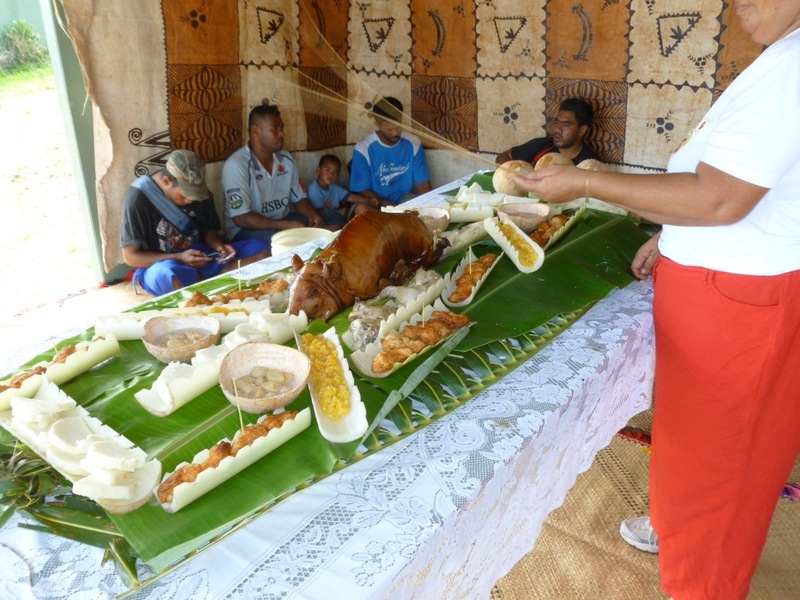 Tongan custom Is for guests to eat first and when you have all done they will finish it off. Traditional finger food on banana leaf plates. 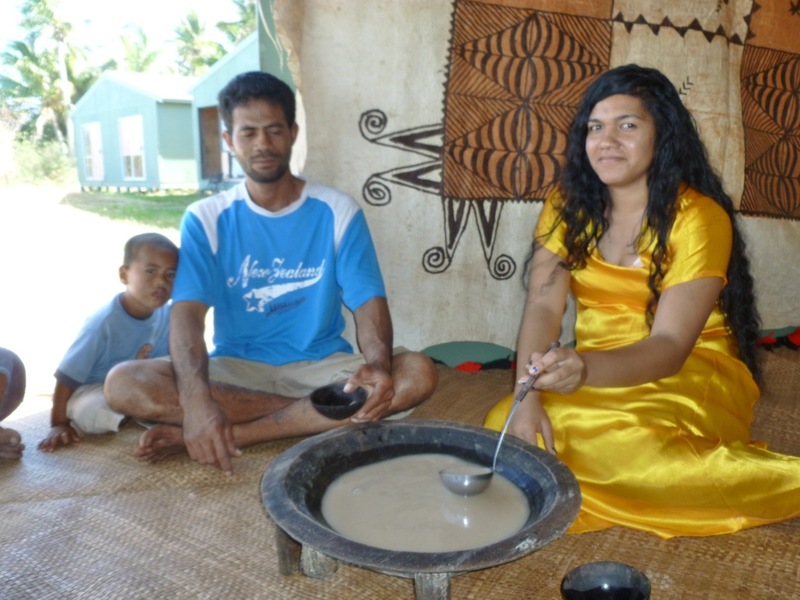 the day started with a 10 am pick up with the free Tongan church boat picking us up from Matafonua and taking us up to Haano island – small population of only about 150 – one tractor and truck but horse and carts are still in use. 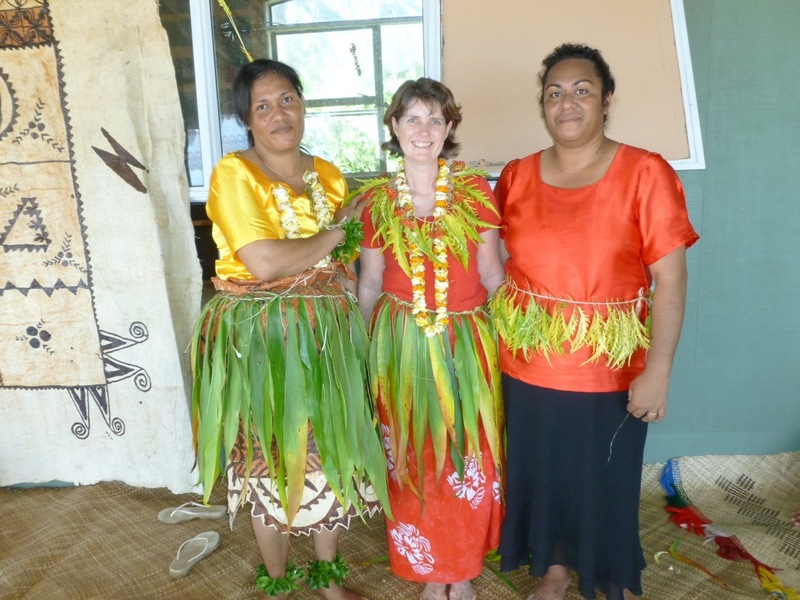 A local woman’s group set up this initiative to try to capitalize on tourist potential and offer cultural tours. They need money for very little here – but costs of sending high school kids to Pangai is creating the need for income and we were happy customers in a good cause. For starters we were offered a few tropical delights as a late breakfast. 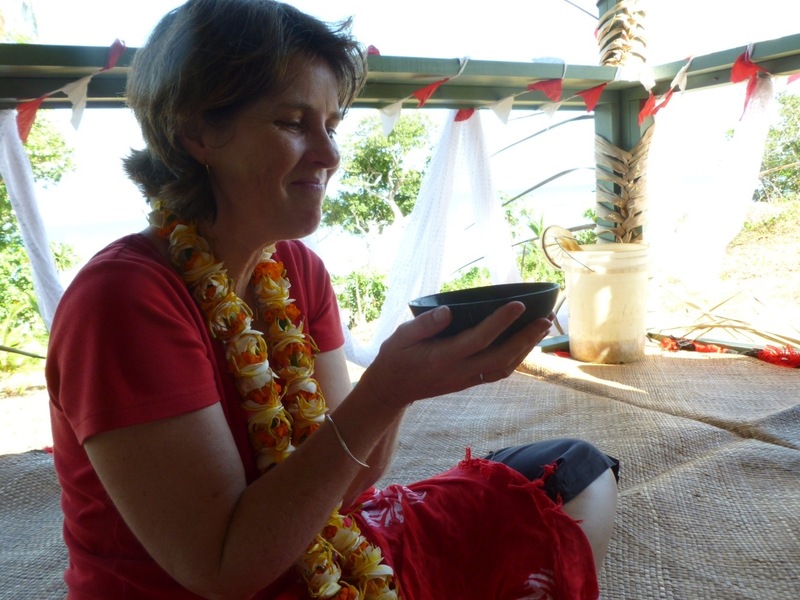 As this photo shows – Barb really enjoyed her Kava very much- she just could not say no! 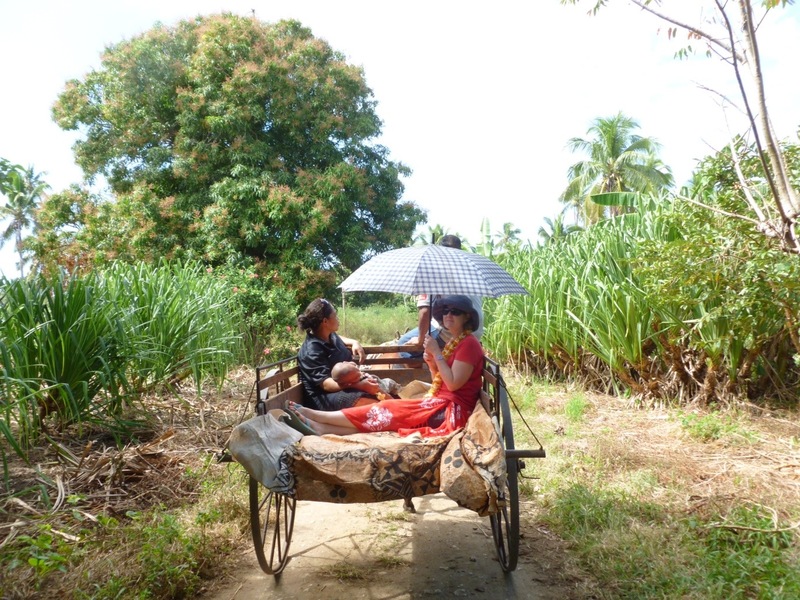 We had a grand tour of two villages on the “Tongan Taxi” – was quicker to walk the 2 or three Kms as it was a very bumpy ride – no suspension of any kind. 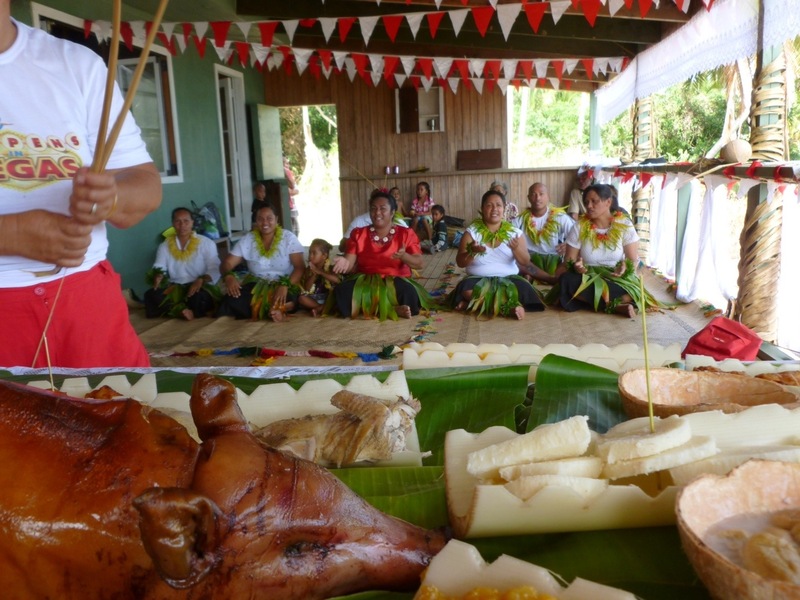 The feast was fabulous – delicious – the suckling pig was very very hot and so tender. We then had some wonderful entertainment with the ladies and a couple of the men dancing and singing. they were a little shy but some of the solo performances were excellent. Hi guys. Looks fabulous – summer! 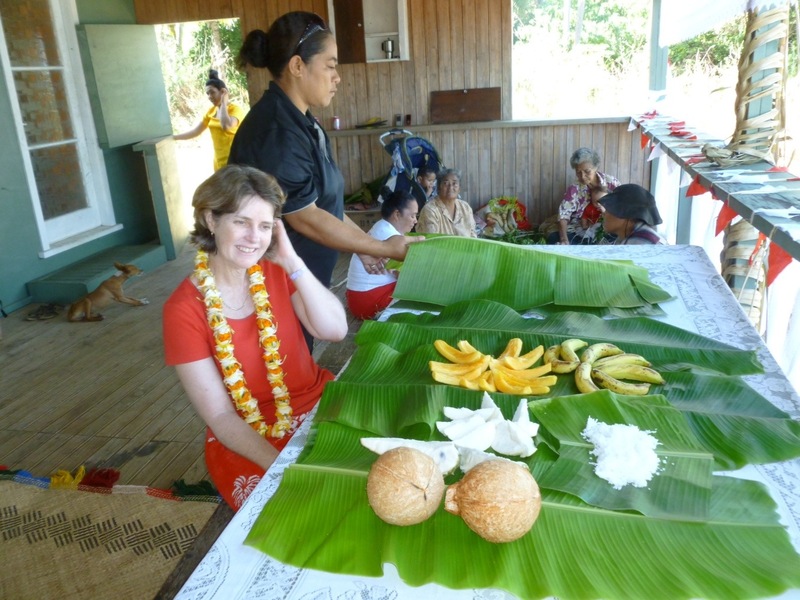 The feast brings back memories of a previous occasion …. 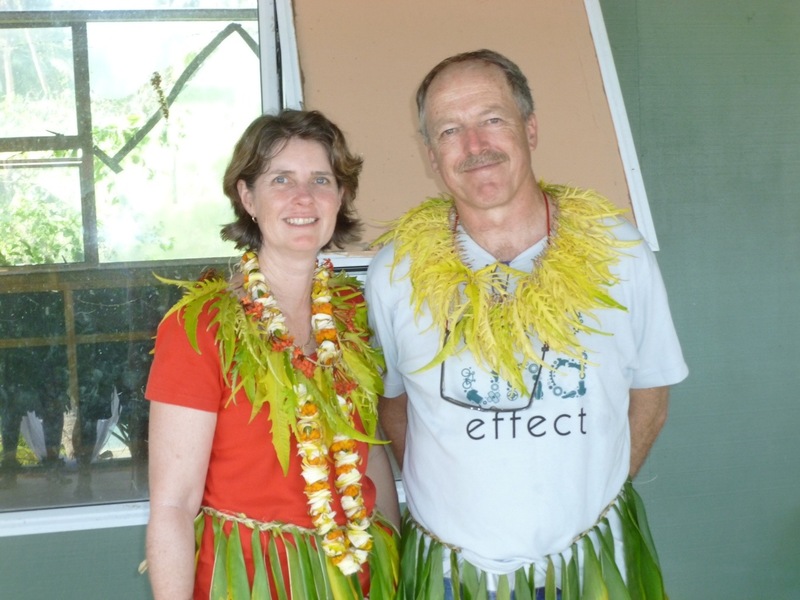 in our previous lives in Dargaville!